Photo App - Private Mode — Here's a shot from an app I designed last year: same functionality, different platforms. Working on iOS and Android at the same time is always a good design exercise 💪. Secure Camera Icon — This is a rejected icon I designed last year for a secure camera app. I found it whilst doing some house cleaning and I couldn't resist from animating it. To be honest, getting my head around the shutter animation in After Effects took me some time, but I quite like it in the end. ProtonMail Inbox Redesign — I have been asked to redesign ProtonMail's Inbox as part of their recruitment process. They preferred moving forward with another candidate in the end, but this design (along with this analysis of their current web application) allowed me to enter the final phase. Sparkle License — I've been asked by the kind people at Sparkle to redesign the Upgrade window that shows when their app launches. Some users couldn't get that Sparkle can be used (with some limitations) even without purchasing an upgrade. I hope my redesign will help 😊. Moving Unsorted Photos into Albums — A quick drag & drop interaction I've been working on lately. Badges — A couple of badges I designed for a secure storage service launching soon. R&M - Order Progress — During my days at Ovolab I had the chance to work as Product Designer on a trio of iOS apps for Rose & Mary. Here's a detail of the order progress animation we implemented in the Customer App. Find out more about this project here. Harvest - Watch App — My unsolicited take on a possible Watch App for Harvest. 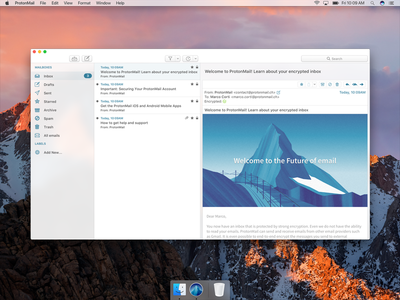 ProtonMail macOS App Concept — My unsolicited take on a possible macOS App for ProtonMail. The app icon and the illustration of the Matterhorn are inspired by the awesome work of @Brian Edward Miller Have a good weekend! Sparkle - Touch Bar — Working on Sparkle's Touch Bar 💻. Here you can see the interaction for selecting the poster frame of an embedded video and for setting the style of the player's controls. You can enjoy the full video here. Sparkle - Icons — A couple of icons I designed for Sparkle - Visual Web Design (http://sparkle.cx). 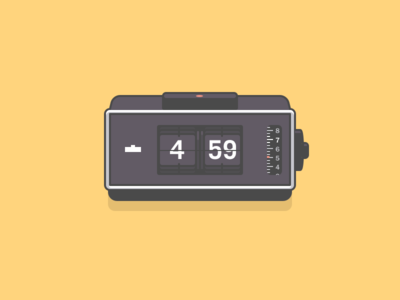 Braun Phase 2 — Yet another clock illustration, this time from the 70s. 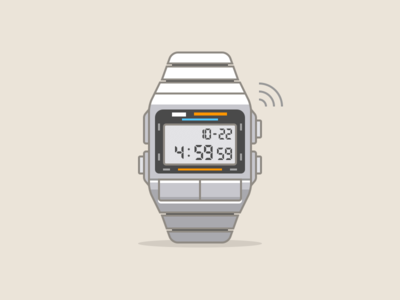 Casio Data Bank 50 — Illustration of the Casio Data Bank 50 for an iOS app I'm working on. Time Signal App UX/UI Exploration — Today I've animated my shots from the past week and put together an UX/UI exploration for the time signal app I'm working on: I hope you like it 😊. Have a great weekend! Bubble Madness — I thought this bubble deserved its own shot 😜.